O Trujar is a house, which we rent completely, to comfortably accommodate 5 people. 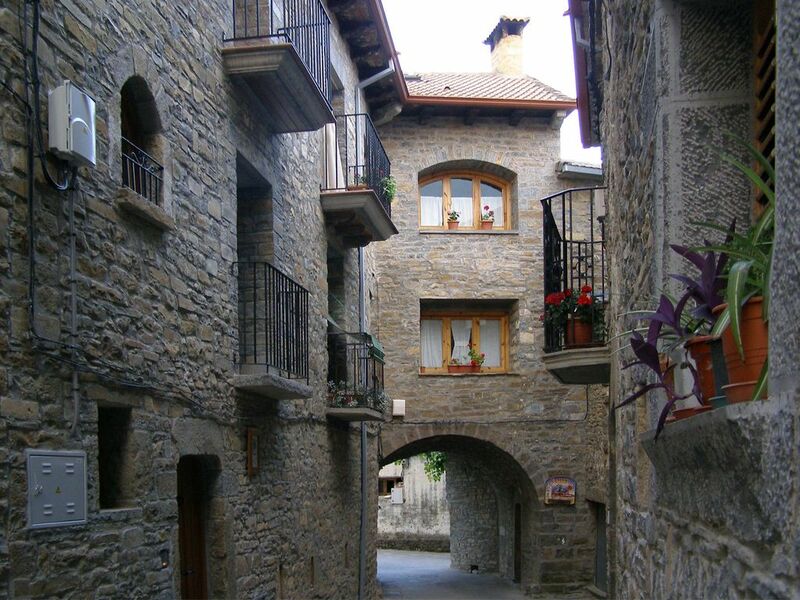 A 10 km from Ainsa, well connected near the National Park Ordesa or Sierra and canyons of Guara. In it you can rest, prepare the next day's excursion, your children can play, and let you live and enjoy our wonderful surroundings. You can tour the national park, adventure sports, mountain biking on well marked trails, hiking, or just visit the small and charming villages full of history, such as the medieval town of Ainsa or the route of Romanesque churches. If you have time, you can go to France and enjoy the north side of the Pyrenees, or meet other towns and valleys near an hour or an hour and a half, or talk about Jaca Benasque. Are you interested in wine culture? A half hour you will find the Somontano with its wineries and vineyards with D. O.
Super nice place with super nice people and excellent location: quiet, but close to Ainsa and the lake. Beautiful medieval house in a quiet small town! We loved this house! It is very spacious and comfortable. Located in a beautiful small medieval town. Yet, you are an 8 min drive to Ainsa where you can get whatever you may need. Mr Bellosta was very welcoming and we truly wish we could have stayed longer - the apartment is excellent and we highly recommend it! Estupenda casa, cómoda, muy limpia no le falta de nada. Muchas gracias Vicente! • From Zaragoza, Huesca and Barbastro through, address Aínsa. • From Navarra, through Jaca, Yebra de Basa, Attorney, Aínsa and continue 10 km towards Barbastro. • From Catalonia through Lleida, Monzon, Barbastro and continue to Aínsa. • From France, leave the A64 motorway in Lannemezan, Arreau and continuing through to Arganuet, passing through Bielsa, Ainsa and continue towards Barbastro. A partir de 5 personas se cobra 8 € por persona y noche.